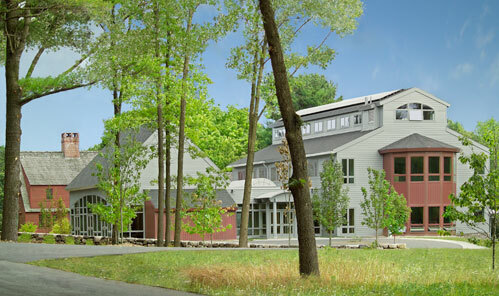 The Trustees of Reservations planned to expand their headquarters at the Doyle Conservation Center in Leominster, MA. Their vision was to construct a 14,000-square-foot “green” building to house office space for 38 staff members, incorporating a conference and auditorium facility for 125 people. However, they were faced with a local sewer moratorium which prohibited the construction of the new facility, and they needed to incorporate green building technologies to achieve the LEED Gold Award from the US Green Building Council (USGBC).